Southampton manager Mark Hughes said that he is pleased with a 'positive point' after his side's thrilling 2-2 draw at home to Manchester United. The Saints took an early 2-0 lead thanks to Stuart Armstrong's opener and a sublime free-kick from Portuguese international Cédric Soares. However, they allowed United back into the game as the visitors levelled the scores before half-time thanks to goals from Romelu Lukaku and Ander Herrera. 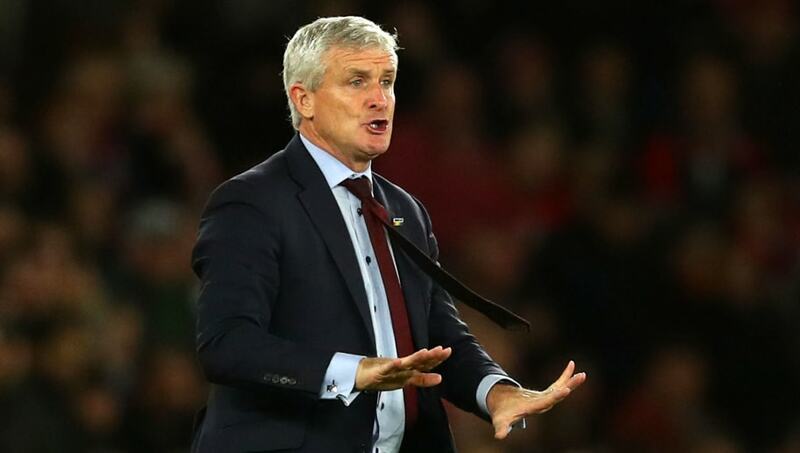 Having failed to hold on to their 2-0 advantage, Southampton have now dropped 11 points from winning positions in the Premier League so far this season, something Hughes knows will have to change if they are to avoid relegation. Speaking to ​Match of the Day, Hughes said: ​"We have to view it as a positive, we have been playing well for a number of weeks. "Unfortunately when you do not get the results people expect sometimes you don't get the credit. We had opportunities to nip things in the bud, clear our lines and track runners - as a consequence they were able to get back into the game. "Second half we restricted United to a few free kicks, there was not a lot of momentum generated by United, that's credit to us. Overall I am really pleased. It's a positive point against a good team and we will build on that. "When you look at our performance and the table, we are not where we want to be. Are we under-performing compared to last year? Probably not. "We have to get maximum points in games, everybody saw by the manner of our performance that we are a good side, we just have to keep working and performing." Hughes will be hoping that this result can kickstart ​Southampton's season, starting with their next fixture on Wednesday night which sees them travel to ​Tottenham at 20:00 BST.